New 70µm copper adapter board v.1.1. now in stock! G2R>G2Z Adapter board “DIY” with solder pins: €5. 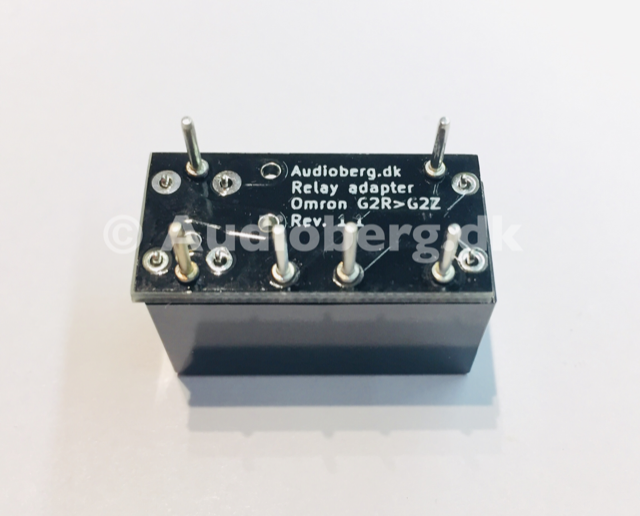 G2R>G2Z Adapter board with Omron G2R 8A sealed relay fitted and tested (ready to install): €32. Relay units will be sent as first class registered letter, and will be well packaged as to arrive in good shape. Please send your order via email to jonas@audioberg.dk, or just write in the Paypal comment field what you need. 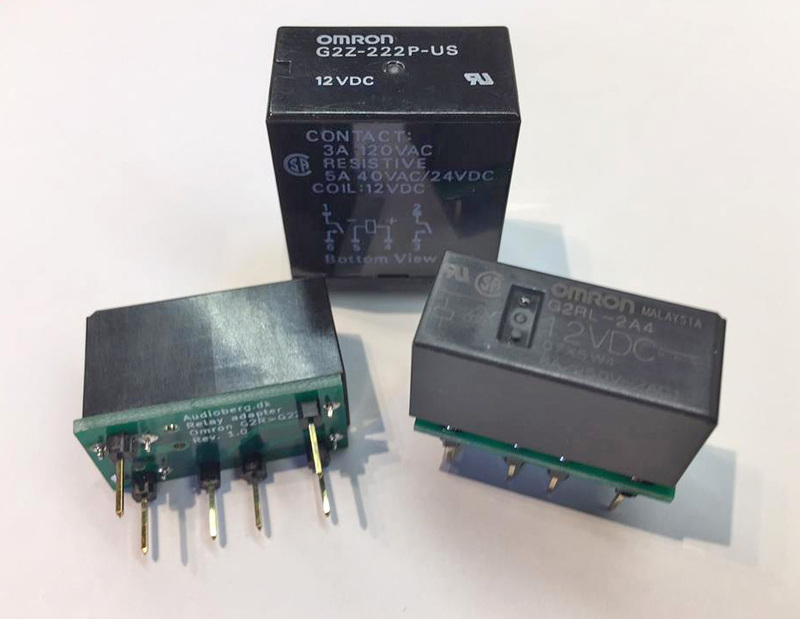 Make sure to specify if you need 12VDC or 24VDC relays! 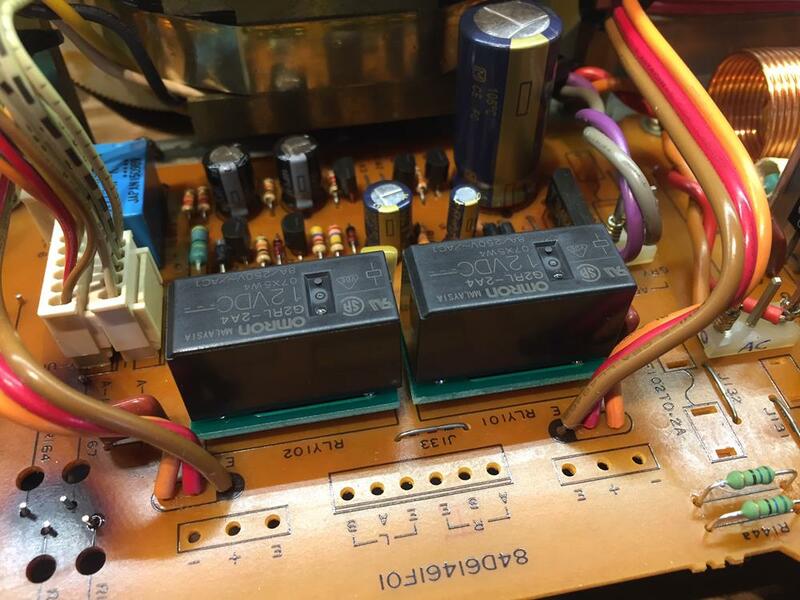 Check what is printed on the original relays. Payment: Paypal, to the same email address. Betaling for DK ordrer: Bankoverførsel eller MobilePay (Brug venligst ikke Paypal). Se også her. In many amplifiers from the ’80s, the Omron G2Z-222P-US is used as loudspeaker relay. Some in 12V and some in 24V model, but it is the same type relay. 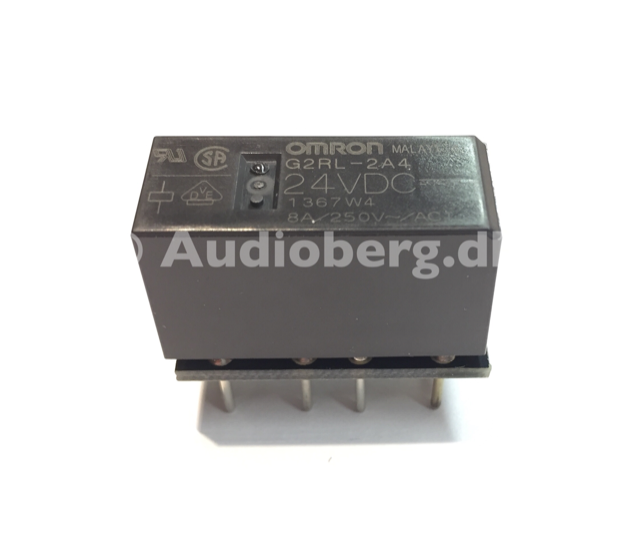 Problem is that these Omron relays are obsolete, and thus no longer available. As a solution to this, I have made an adapter board, which makes it possible to fit a modern type Omron G2R relay as replacement. 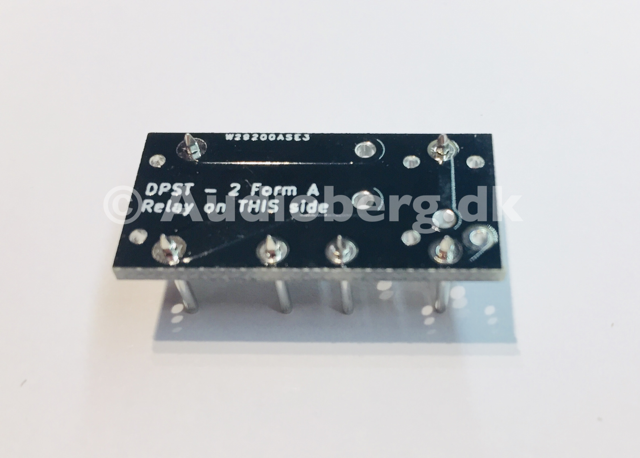 It is a small doublesided PCB, with same footprint as the original relay. November 2018: The adapter boards are now V.1.1, with optimized layout and 70 µm copper layer, for highest performance. You can purchase the adapter boards seperately, or a complete new relay unit ready to install in your amplifier. 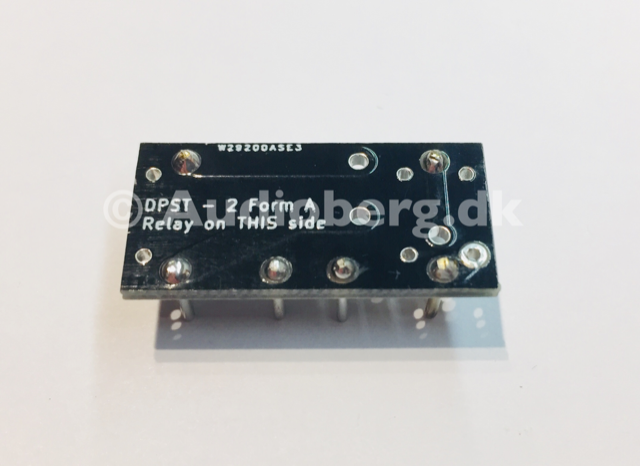 I use high quality sealed Omron G2R 8A relays, which is a good replacement for the original relays used, and will likely last longer. Is this the same size with the original? Because on the left and right are two coils. I have the lv 105u. Yes, the adapter PCB doesn’t take up more space then the original relay, so there are no problems with other components close by.